South Carolina facts and history plus travel and tourism information. South Carolina is a small, diverse state located in the Deep South. 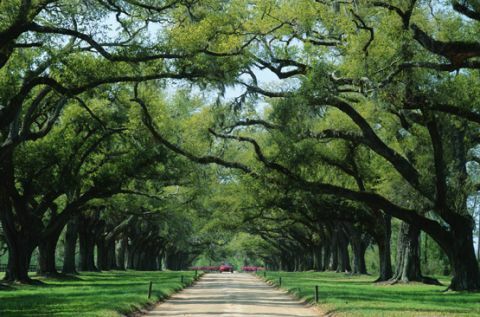 From forested mountain scenery in the northwest and the mid-state Piedmont region to the Grand Strand coastline of the northeast and the islands and marshes of the south coast, South Carolina's topography is remarkably varied. 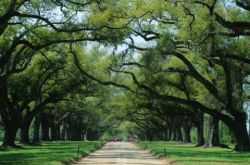 The state also features scenic waterways and abundant wildlife as well as antebellum plantations and other historic sites. Over thirty Native American tribes living in the South Carolina region made European settlement difficult here. Beginning in 1670, British colonists managed to establish Charles Town (Charleston). Following the Revolutionary War, South Carolina joined the Union as the eighth state on May 23, 1788. Almost a century later, the state left the Union and the Civil War began at Fort Sumter. Racial discrimination continued in South Carolina for many years after the Civil War. From the Blue Ridge Mountains in the west to the beautiful beaches of Myrtle Beach, Hilton Head Island, and Folly Beach in the east, South Carolina is a popular destination for vacationers. History buffs can find plenty of museums and forts to explore, and tourists also enjoy visiting historic Charleston.